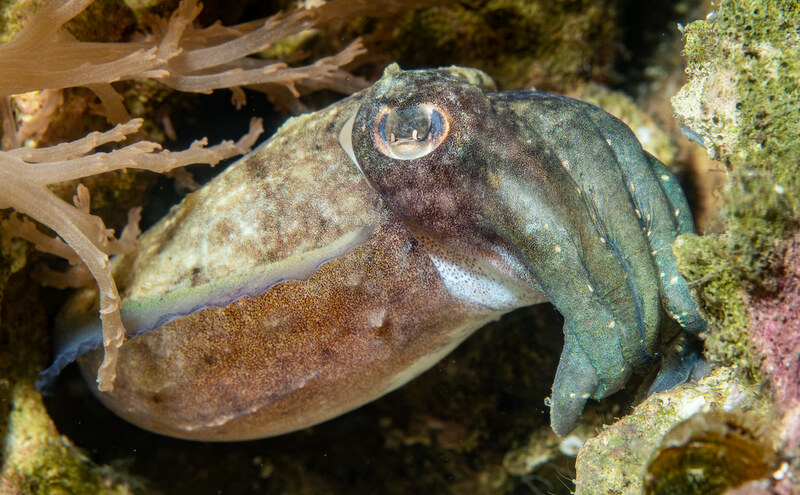 This cuttlefish thinks that all things being equal would make his math homework a whole lot easier. 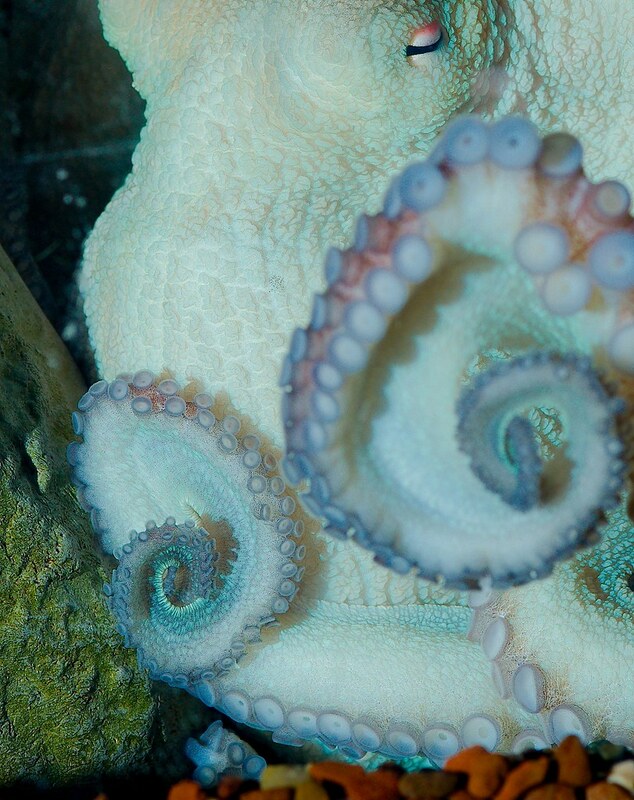 When young octopuses are in Little League, the post-game walk-by takes longer the actual game. TFW you’re close to the abyss but know that withdrawing into your shell would make the fall more likely. 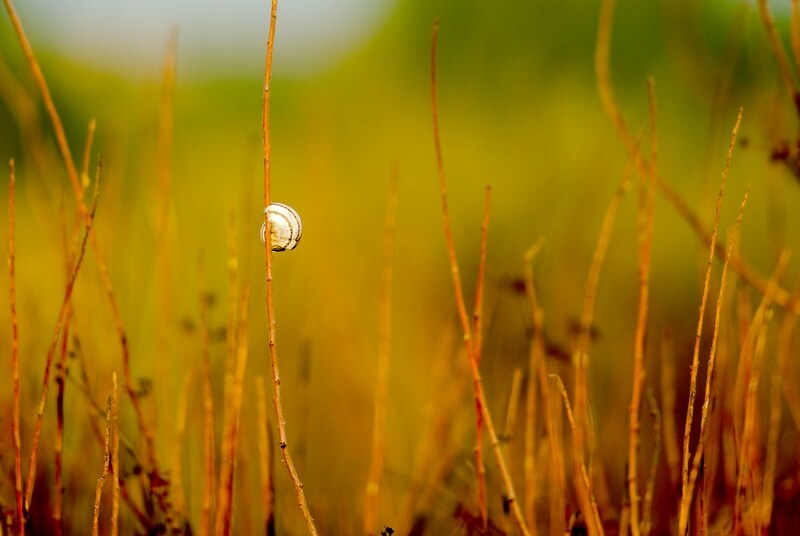 If lost or confused, pause a moment, rise above it all, and survey the area before going back into the weeds. I posted this on Facebook a while ago, but I’m re-posting here so everyone can see it. This is one of the coolest exhibits I’ve seen in quite a while. 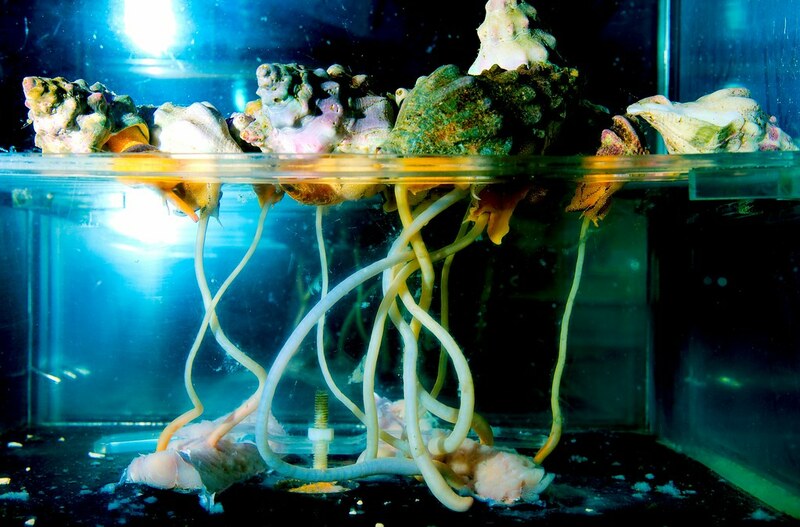 What you’re seeing is a lucite box with whelks on the top and a piece of fish screwed to the bottom. 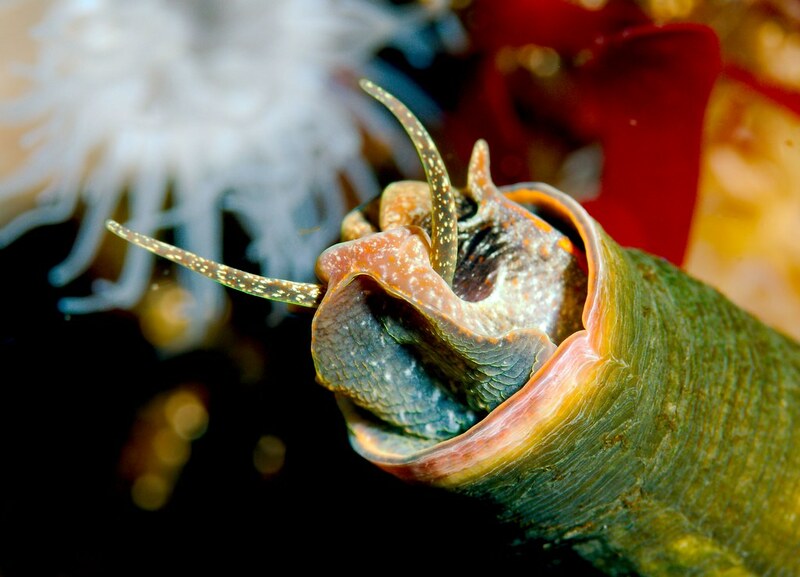 The whelks are adapted to live on the rocky ocean floor, and send their long flexible mouth things down in between the rocks to feast on whatever things they can scavenge. 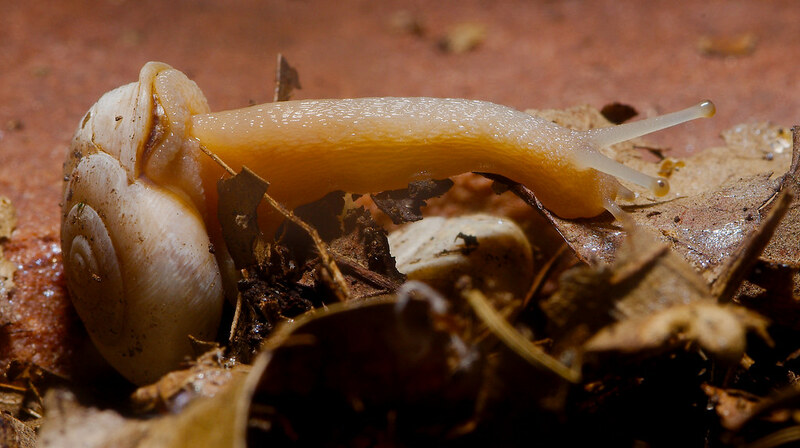 In this exhibit, you get to see a behavior that is extremely interesting and that, gives you a very different understanding seeing it than reading about it. I hadn’t heard of these guys before, so I looked them up. Apparently you can’t really find them in subway systems. 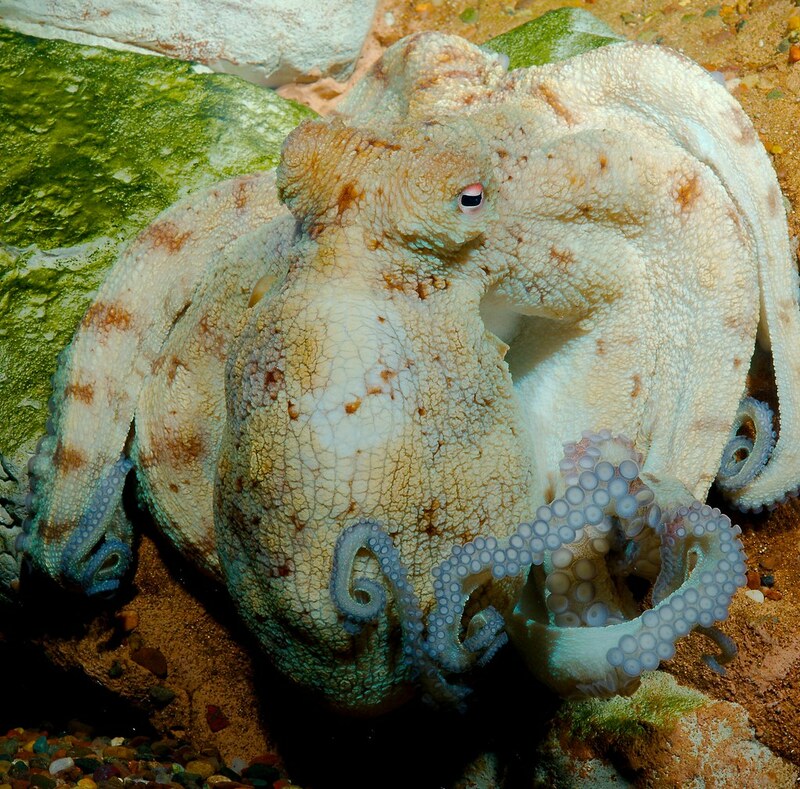 I got a paint-by-numbers book of octopuses once. That was a confusing day. 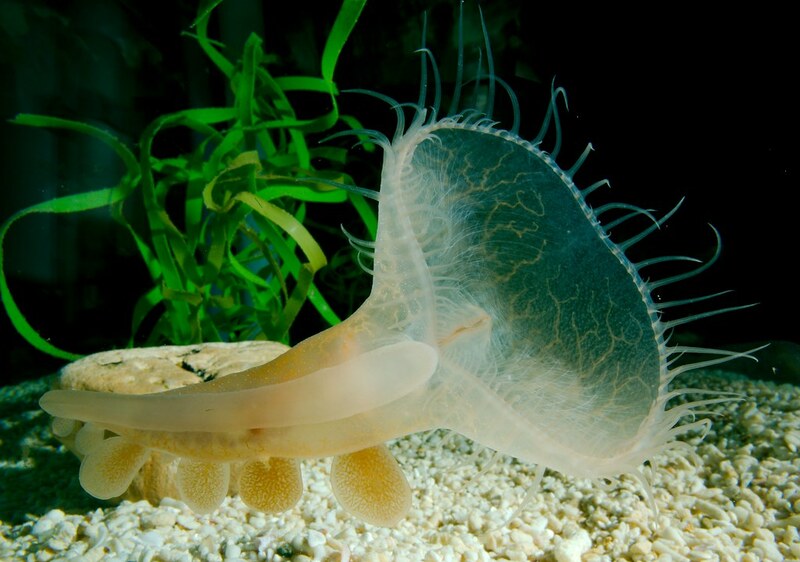 The wikipedia page for the nudibranch boasts the only occurrence of the phrase “Apparent production of sound” on the entire site. 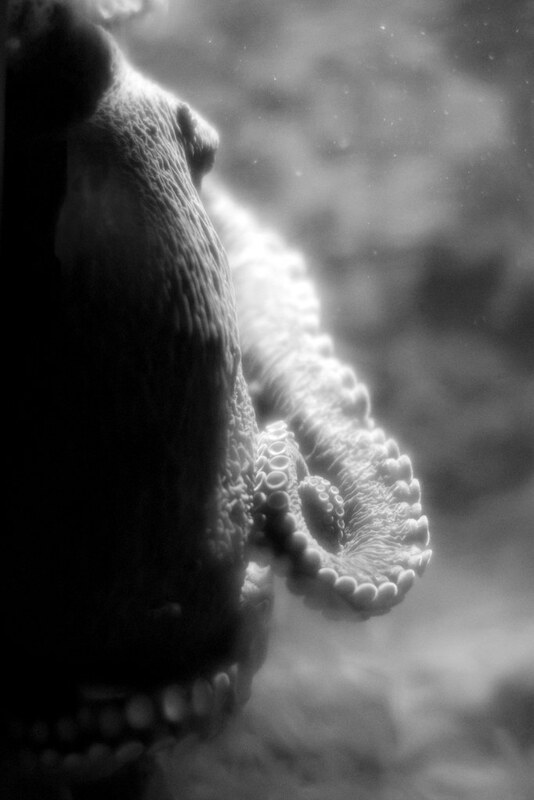 This is what a photo of that octopus looks like without an achromatic lens. I have to dump it to black and white to get the colours to work as they should. It turns out that one of the lenses I picked up at the National Camera sale last summer is achromatic. This means that, unlike most of my aquarium shots, I can use it to shoot through curved glass and not get weird colour effects. 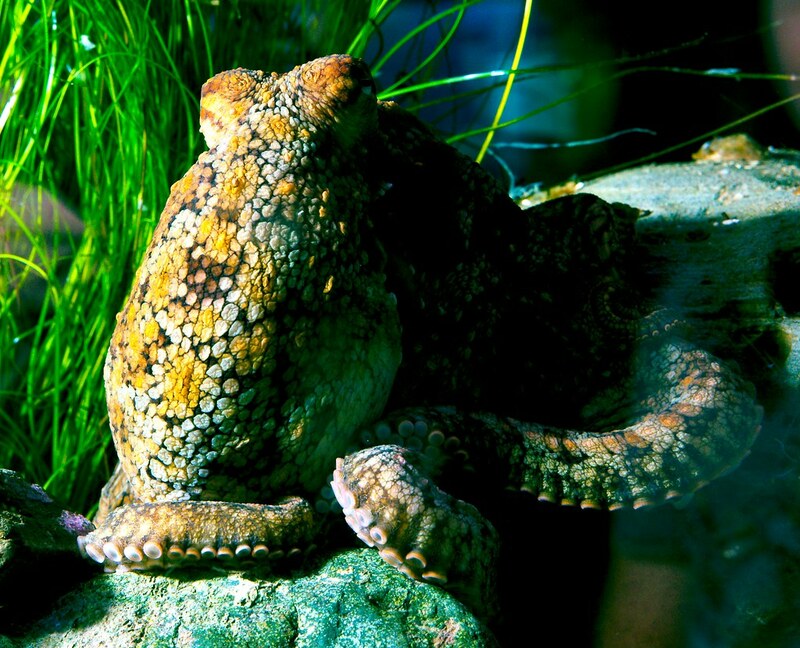 So here’s an octopus for you. 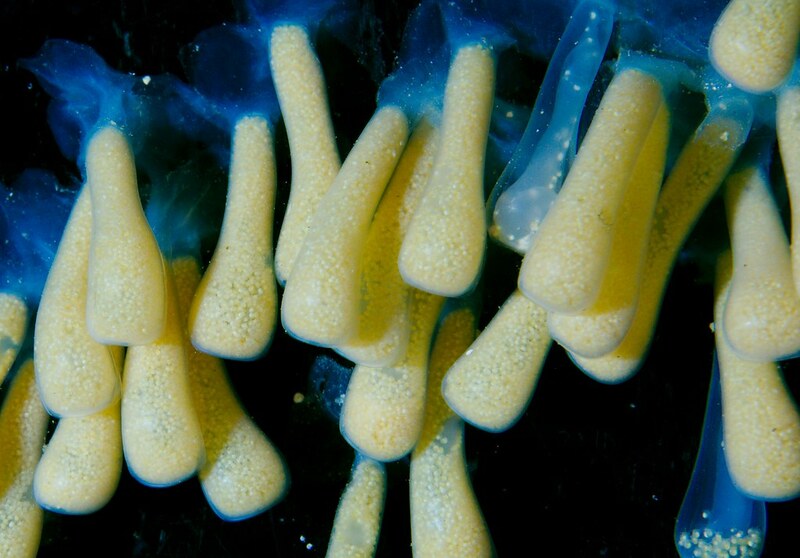 These are Atlantic triton snail eggs. 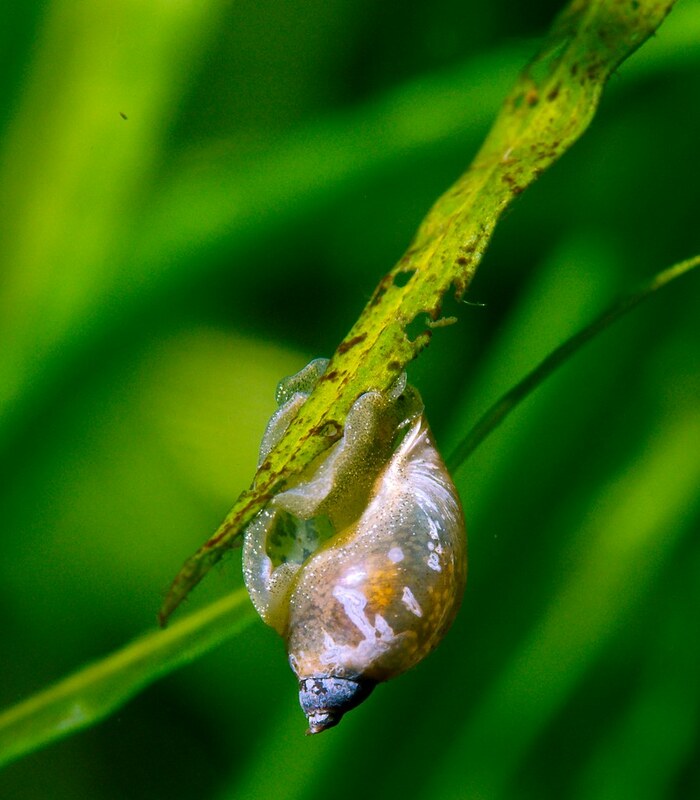 There’s no joke here because snail eggs are just cool. Look at the cool snail eggs. In aquariums particularly, you get mixed species exhibits. I think they do this to keep the environment clean because nature is better at cleaning up organic messes than machinery is. The good news is that it means that when the fish are hiding, you have other options. 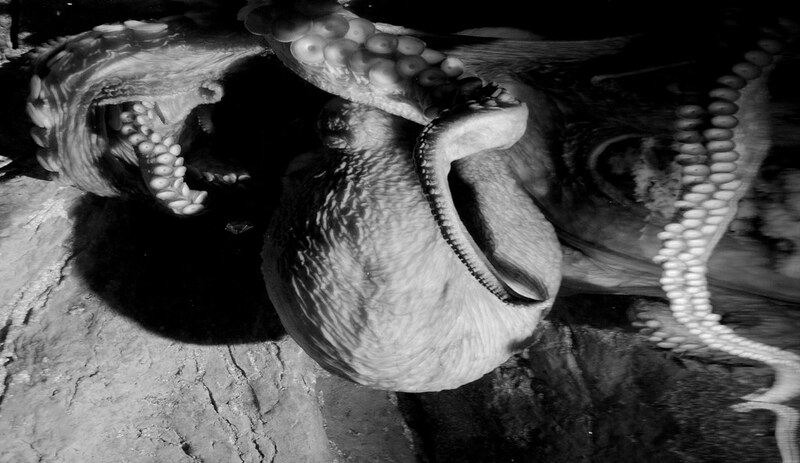 The arm of the octopus is well adapted to opening pickle jars. 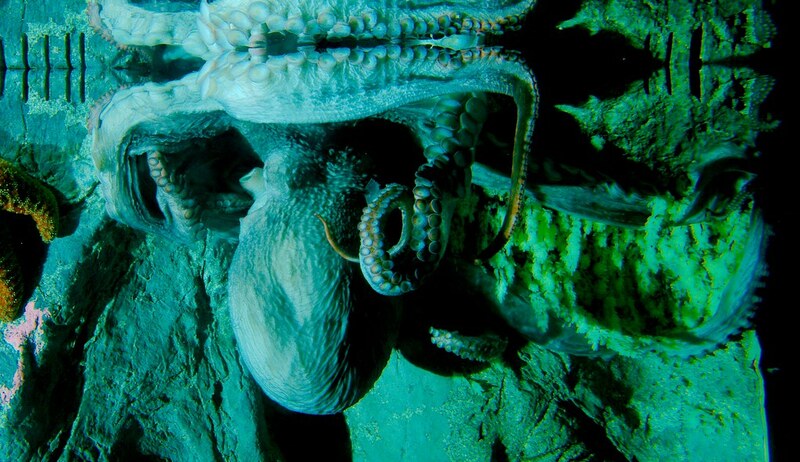 The octopus is able to compress and expand it’s body to extreme levels. For proof of this, view this post on both your computer and your phone. 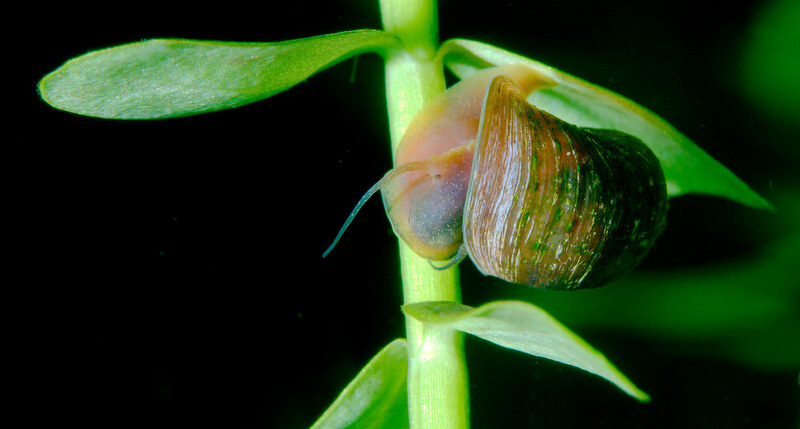 Due to the clockwise curl of the snail’s shell, you can tell from the Coriolis Effect that this particular snail grew up in the Southern hemisphere.